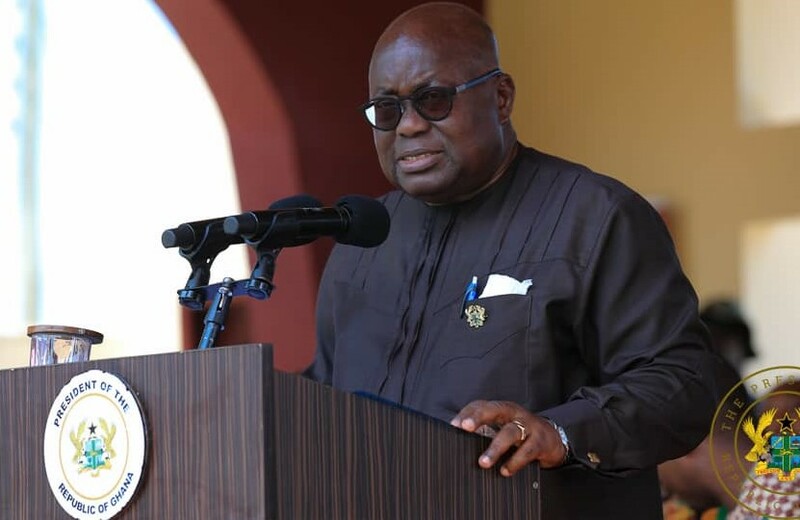 The President, Nana Akufo-Addo has promised to provide the Musicians Union of Ghana (MUSIGA) a new national head office by the end of this year. He made this announcement at the 6th MUSIGA Presidential Grand Ball which was held at the Accra International Conference Centre on Sunday, April 7, 2019. “It was brought to my attention by Obour that the execution of the Marine Drive Project which will develop aggressively our tourist sites to bring them to world class standards complete with the the requisite amenities and facilities will affect the building that serves as the head office of MUSIGA,” he said. “I have instructed the Minister of Works and Housing to meet with the leadership of the Union and settle on an appropriate replacement by the end of this year, 2019,” he added. Nana Addo also spoke about the government resolve to develop the creative arts in Ghana. He reiterated that the Creative Arts Bill which will result in the establishment of a creative arts fund was at its final stage. Six Music Industry Heroes and four Music Industry Pillars were honoured at the programme. The Heroes were Prof. Kofi Abraham, Pat Thomas, Naa Amanua, Asabea Cropper, Kwadwo Akwaboah and Abirekyireba Kofi Sammy. There were amazing performances by Patience Nyarko, Adina, Tic Tac and Samini whose hit song ‘Linda’ got the President to dance. Other performances were by Bob Pinodo, Asabea Cropper, Naa Amanua, Pat Thomas and Daddy Lumba who invited the Maestro Kojo Antwi on stage. Also in attendance were the First Lady, Mrs. Rebecca Akufo-Addo; the Vice President, Dr. Bawumia and his wife Samira Bawumia; ministers of state, members of the diplomatic corps, and people from the creative industry.